Dimensions is the Saskatchewan Craft Council's biennial, open, juried, touring exhibition which encourages and rewards excellence in hand crafted work. The most anticipated Quebec arts and crafts show of the year! With nearly 60 years to its credit and more than 325 exhibitors from all over the province and even from outside Canada, this is a must-visit event for unearthing one-of-a-kind works of art and recognized crafts. Wintergreen is the Saskatchewan Craft Council's largest market, featuring a tremendous selection of beautiful hand-crafted work by over 70 craft and visual artists. Artisan Fine Craft Market showcases the best in Fine Craft in Saskatchewan and features a diverse selection of fine handmade objects. Art Now is the largest fine art fair of modern and contemporary art in Saskatchewan featuring emerging and nationally and internationally known artists from galleries across all three Canadian prairie provinces. The third annual Art Now takes place September 20–23 in Saskatoon, Saskatchewan, Canada. Look for Mary Lynn's work at Slate Fine Art Gallery's booth! Artists creating jewelry that push traditional boundaries, whether using traditional or non-traditional materials, interpret the title ‘Revealed’. Unique works of contemporary designs expressed through imagination and skill, including necklaces, brooches, earrings and bracelets will be featured in this exhibition of contemporary art jewellery. Curated by textile and jewellery artist, curator and art jewellery advocate Barbara Cohen. The conversation for Canadian Art Jewellery is growing. Conceptual jewellery is posing questions, providing answers and awaking new norms for art. Co-Adorn Art Jewellery Society's Inaugural Juried Members Exhibition will be held at Studio 21 Fine Art in Halifax, NS. The Earring Show will be held as a one-night fund-raiser at the Craft Council of BC Shop & Gallery in Vancouver, where guests can purchase any of the specially-selected, unique, handmade earrings from talented artists from across North America. Slate Fine Art Gallery is celebrating their 5th anniversary with an exhibition of new works from their roster of talented artists! The Artisan Fine Craft Market showcases the best in Fine Craft in Saskatchewan and features a diverse selection of fine handmade objects. Simultaneously a verb, adjective and noun, 'light' can be many things. The beauty of light can guide, dazzle, comfort, signal or illuminate. But to light is also to spark or ignite, to understand. LIGHT is an exhibition of contemporary art jewellery and metalsmithing presented by the Vancouver Metal Art Association. SaskGalleries presents the second annual Art Now, the Saskatchewan Fine Art Fair in Regina. This is a unique event that showcases the incredible art culture in Saskatchewan and in Canada and includes nine commercial galleries and hosts the work of nearly 200 established and emerging artists. Look for Mary Lynn's work at Slate Fine Art Gallery's booth! This solo showing of Mary Lynn Podiluk's jewellery features many one-of-a-kind pieces, complemented by new designs from her Resonance Collection. Mary Lynn will be making her first appearance at the spring edition of One of a Kind Show and Sale in Toronto. She will be featuring a large selection of one-of-a-kind pieces and an array of new colours and designs from her Resonance Collection. Three Saskatoon-based jewellers - Mary Lynn Podiluk, Jenny-Lyn Fife and Joan Thomson - will be coming together with the curation of award-winning metal artist Tom Ferrero to create a colourful exhibition of contemporary art jewellery and holloware, displaying both sculptural and wearable art pieces. Saskatchewan artists have made it big on the national and international stage before, and several continue to do so today. Artists currently launching their careers outside the province discuss the challenges and (sometimes) benefits of succeeding in a larger market, while working from their home province. Each artist has plotted their own unique course, sharing personal stories of challenges and successes. With unabashed regional focus, the Saskatchewan Fine Art & Craft Fair is the largest exhibition of its kind ever held in the province. 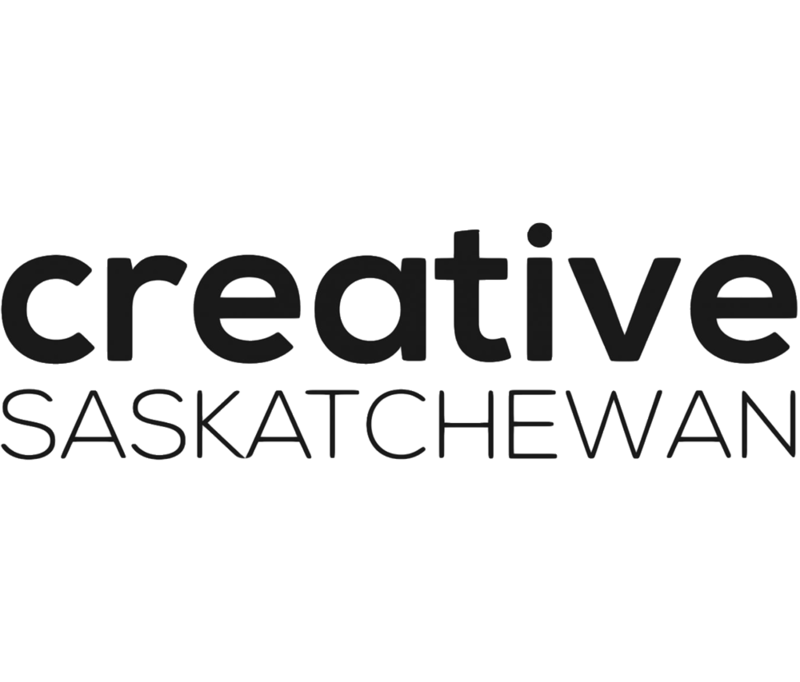 Unpacking the very idea of Saskatchewan art and fine craft, the province’s leading commercial galleries showcase emerging talents alongside nationally recognized artists and artisans, with an engaging program of presentations and discussions. Mary Lynn Podiluk is a 2016 NICHE Awards Finalist in the Wedding Category for her handcrafted engagement ring ‘Entwine’. The NICHE Awards program recognizes the outstanding creative achievements of American and Canadian fine craft artists in both professional and student divisions; this year, only 180 entries out of over 1600 from across North America were named as finalists. Mata Gallery will be hosting a December Show, featuring a diverse array of contemporary art and jewellery. Mary Lynn is one of the featured artists. L.A. Pai Gallery will be hosting their annual Holiday Art Show, "Celebrate 28! ", featuring contemporary Canadian jewellers & artists! Mary Lynn will have a host of new, vibrant wearable works at this show! The Sculpture Objects Functional Art and Design (SOFA) Fair in Chicago is the premier gallery-presented art fair dedicated to three-dimensional art and design. Mary Lynn is a featured artist with Creative Saskatchewan. Curvi : Linear is an exhibition of sculptural jewellery created with innovative and traditional techniques by two award-winning Saskatchewan artists Melody Armstrong and Mary Lynn Podiluk. Curvaceous forms and vibrant colours contrast with geometric lines and industrial elements to make up the exhibition. I Am NSCAD is a large, salon-style exhibition that includes work by 166 alumni artists and designers. They represent five decades of graduation dates and come from all provinces and territories in Canada and several countries across the world. The SCC 40th Anniversary Show & Sale is presented by The Saskatchewan Craft Council and features a display of Fine Craft highlighting and celebrating the work of their members. Mary Lynn Podiluk is a 2016 NICHE Awards Winner in the Wedding Category for her handcrafted engagement ring ‘Infinite’. The NICHE Awards program recognizes the outstanding creative achievements of American and Canadian fine craft artists in both professional and student divisions; this year, only 170 entries out of over 1000 from across North America were named as finalists. Wintergreen is the Saskatchewan Craft Council's largest market, featuring a tremendous selection of beautiful hand-crafted work by craft and visual artists. Uniting language-inspired design, rich colour, and organic form, this solo exhibition of Mary Lynn Podiluk's jewellery explores the relationship between conversation & artistic visualization. Canadian Mosaic of Metal features 16 exceptional artists representing the diversity of metalsmithing across Canada. The work is inspired by the geography of Canada, the times in which we live, and the mosaic that is Canadian heritage. The NICHE Awards program recognizes the outstanding creative achievements of American and Canadian fine craft artists in both professional and student divisions. The annual National Jewellery Student Competition, hosted through Ottawa's L.A. Pai Gallery, recognizes the work of Canadian students' technical excellence, ingenuity, and strength of creative vision. The 2012 SNAG Jury Student Exhibition will focus on Fusion - showcasing the best student work from any North American degree, diploma, or certificate-granting institution. NSCAD University mounts the 2012 collective show of graduating students' work as it reaches its 125th anniversary. Mary Lynn Podiluk's solo exhibition Metalanguage highlights fundamental aspects of speech and sound through anatomical and organic forms, alphabets, and acoustic analysis.